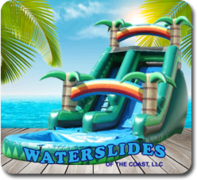 Water slides of the Coast serves the community of Bay St Louis. 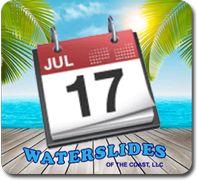 Located right on the Coast of Mississippi, Water slides Of The Coast calls they Bay home. 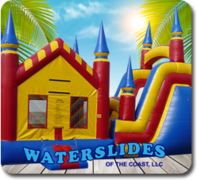 We rent lots of jumps and bounce houses for festivals, events, parties and even second Saturday. 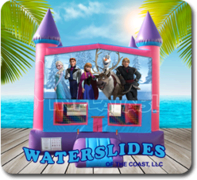 Your child's special event is very important to us and we would love to rent a slide or jump for their event. 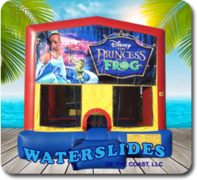 We offer free setup and delivery for almost all events in Bay St. Louis. 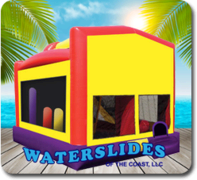 Thinking about renting jumps or bounce houses with slides for any of your events please call 228-216-2228 to speak with a well trained inflatable & waterslide expert. 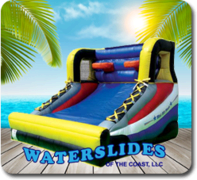 Our inflatable equipment is delivered clean and in good shape by a well trained delivery staff. 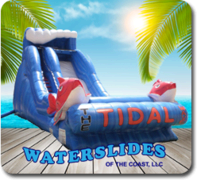 If you have any questions do not hestiate to call our offices before you book online. 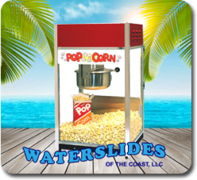 We also offer concession stands to complete your party. 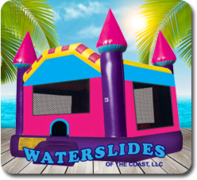 Ask your sales representative how they can assit you in creating the perfect setup for your Bay St. Louis area party.